Scream pierces reality, effortlessly slicing our sky, He flies over the Brewery just as Abe circled over Wisconsin’s 8th Infantry during the Civil War. He calls us to something bigger. Scream boasts an inspired 85 IBUs that reverberate cleanly though this IIPA. 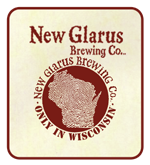 New Glarus Brewery grown estate hops join other Wisconsin grown hops to dominate this brew from Kettle Boil to Dry Hopping. You hold a deceptively seductive Original Gravity of 20.9 degrees Plato following the always 100% naturally bottle conditioned fermentation. Luscious Wisconsin grown and malted barley along with English Maris Otter malt is the bold heart of this lustful sensory enchantment. Surrender is inevitable so enjoy today.